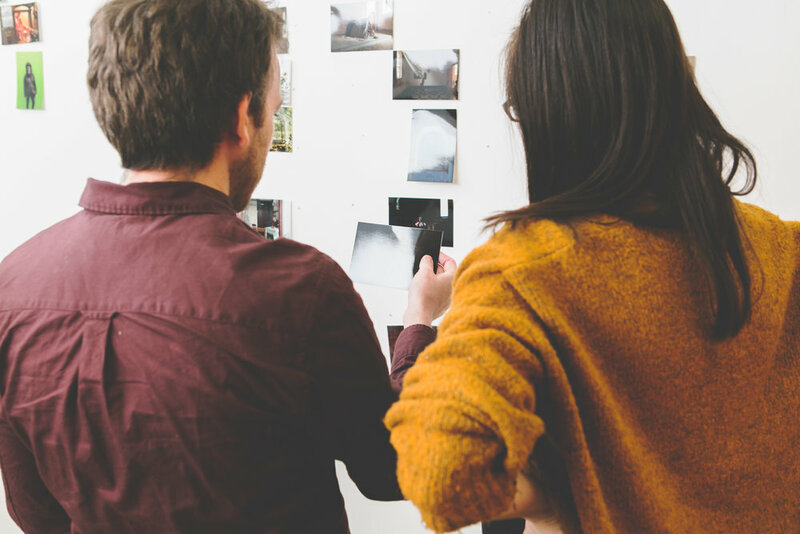 GET HANDS ON WITH OUR PHOTOBOOK DESIGN AND BOOKBINDING WORKSHOPS. SIGN UP TO OUR NEWSLETTER TO BE KEPT UP TO DATE ON ALL UPCOMING WORKSHOPS. The RTI workshop programme aims to educate, excite and engage. We believe the key to creating photobooks is to do so through open conversation and collaboration. The RTI workshops provide a space in which to do just that. We host a variety of workshops from show and tell events to dummy bookmaking workshops, and cover all aspects from concept and design to bookbinding and construction. See all our upcoming workshops below or if you’d like to host a workshop in your organisation/city/country please contact the Read That Image team for further information.